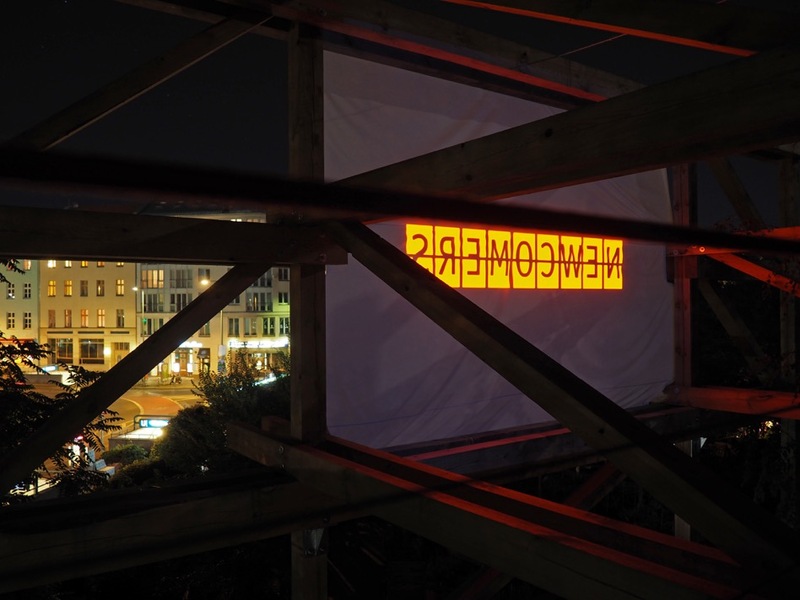 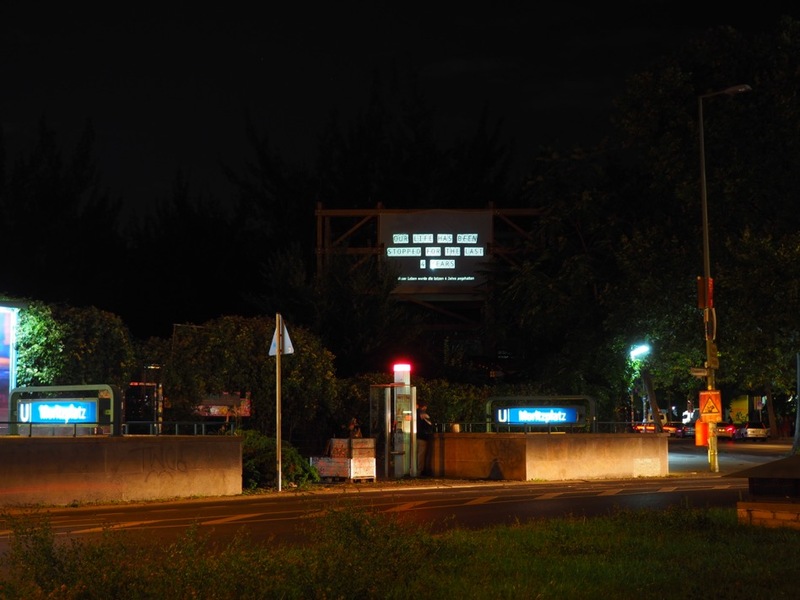 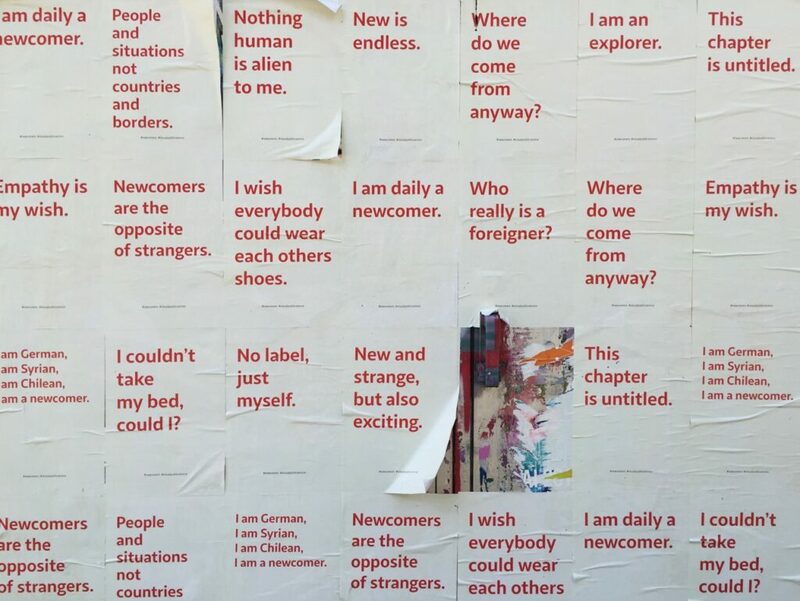 Posters of 15 unedited phrases taken from interviews made by VPS are displayed in the public space of this neighbourhood, giving an insight into what Berliners think of the newcomers’ arrival. 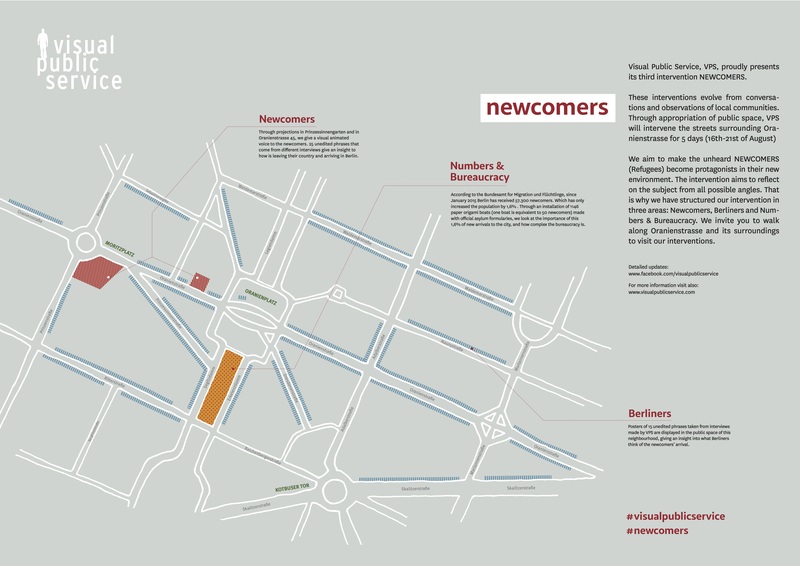 According to the Bundesamt for Migration und Flüchtlinge, since January 2015 Berlin has received 57.300 newcomers. Which has only increased the population by 1,6% . 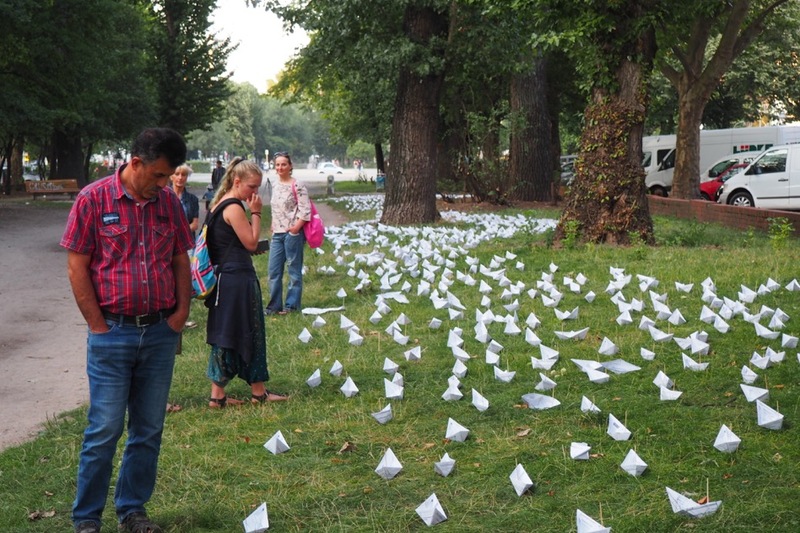 Through an installation of 1146 paper origami boats (one boat is equivalent to 50 newcomers) made with official asylum formularies, we look at the importance of this 1,6% of new arrivals to the city, and how complex the bureaucracy is.